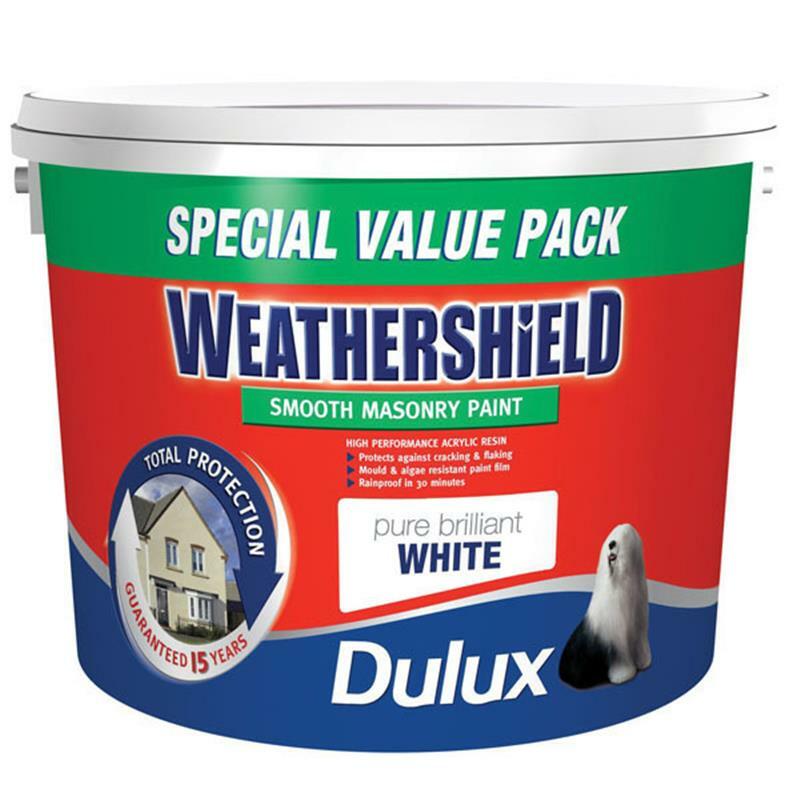 Dulux Weathershield Smooth Masonry Paint - 7.5L. Dulux weathershield is a UV resistant, waterproof paint with a mould and algae resistant paint film. Covers up to 112m2 per can. 2-4 hours drying time.